Is there a better alternative to Artbox for Affinity? Is Artbox for Affinity really the best app in Illustration category? Will Artbox for Affinity work good on macOS 10.13.4? 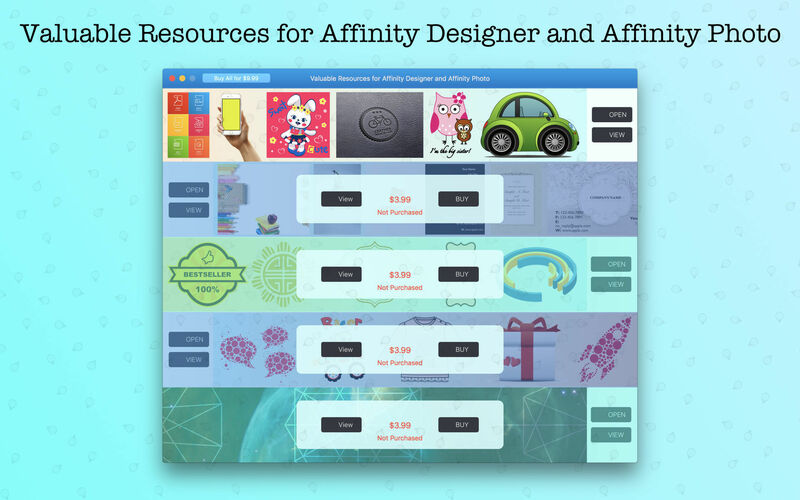 Artbox for Affinity - Templates is your #1 assistant to begin creating beautifully crafted badges, brochures, cards, ribbons, mockups, infographics and fashion doodles with Affinity Designer and/or Affinity Photo! Easy customizable files, limitless ways to modify them! 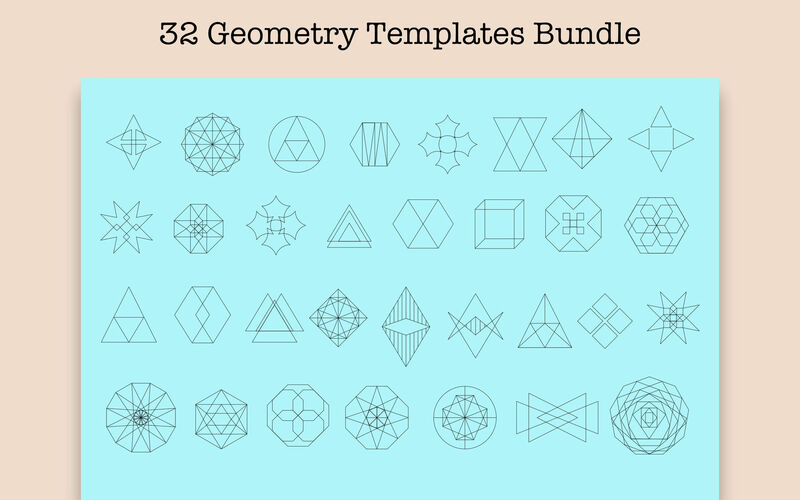 Templates are presented in easily editable Affinity formats, so you can easily change, modify, adjust items and layers to achieve your perfect designs and products. Artbox for Affinity needs a review. Be the first to review this app and get the discussion started! Artbox for Affinity needs a rating. Be the first to rate this app and get the discussion started! All files are fully formatted in customizable sections for your convenience. 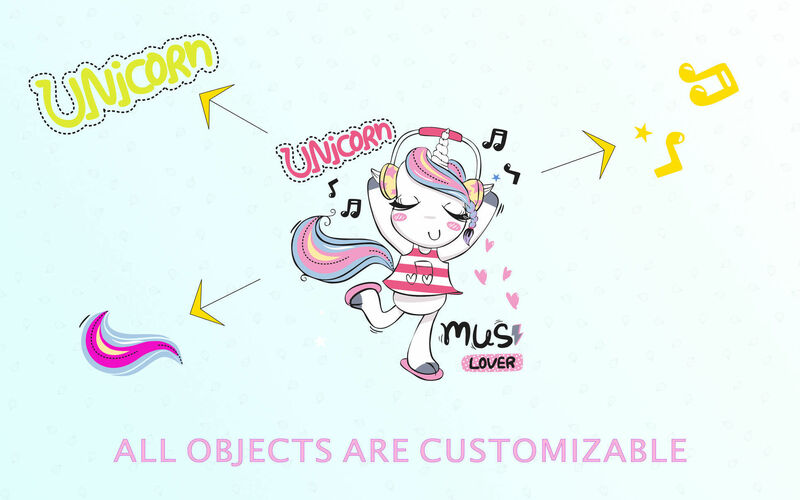 Every object in the templates can be easily reshaped, moved, or removed, colors and effects can be changed. Type or paste in your own text, add or remove text boxes, choose the font to your liming - the power of customization is your imagination! 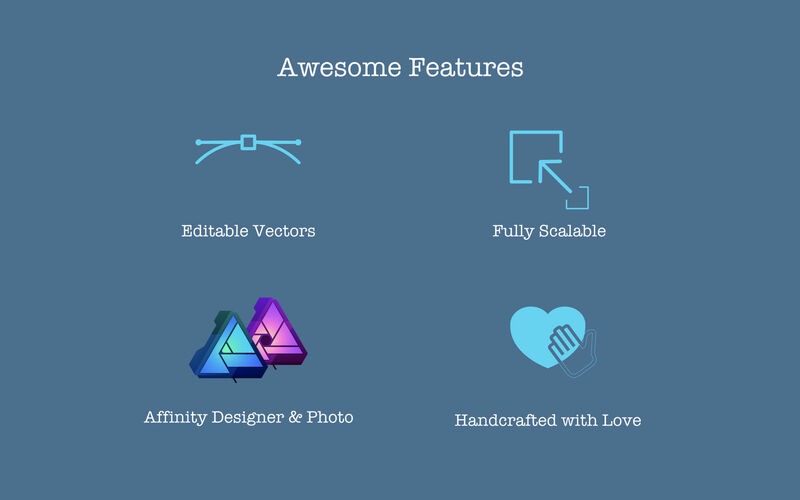 Artbox for Affinity - Templates is the best companion for your Affinity needs! 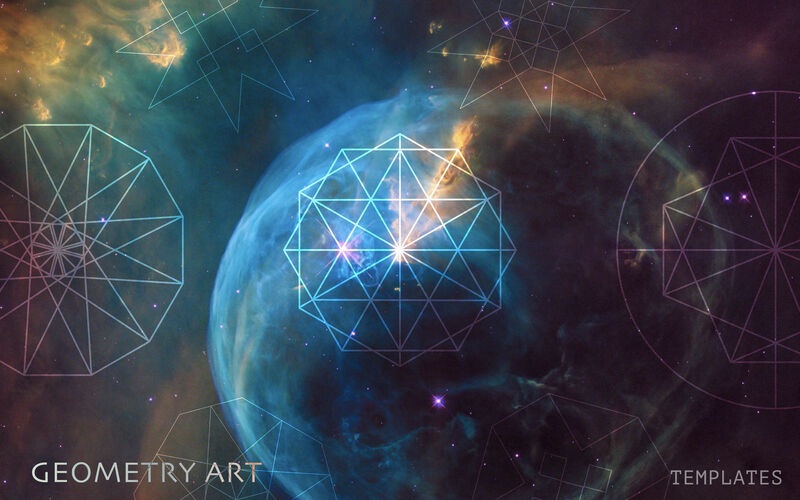 Affinity Designer and/or Affinity Photo is required to work with templates.